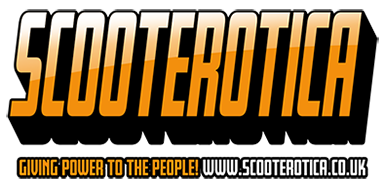 General scooter chat, any scooter related non technical info. Alcoholic maniacs social club. out f@@k,out fight and out booze 'em. alcoholic maniacs sc wrote: It only seems obscene because Spike from the estate down the road offered you two in 1985 for 400 quid. You knew Spike as well did you? Guys like Fernando Alonso paying way too much for a V98 make such trends. Yes but it's still £9,993,010 cheaper than what a Ferrari recently sold for. corrado wrote: Yes but it's still £9,993,010 cheaper than what a Ferrari recently sold for. The record is $38M for a 250 GTO but this one is coming up for auction is a 250 Spyder expected to sell for over £10M. But even those prices are small change compared to what paintings sell for. That's why it makes me laugh when £10K for a scooter causes hysteria.